Kamboj ( कम्बोज् ಕಮ್ಬೊಜ್ கம்பொஜ் കമ്ബൊജ് ಕಮ್ಬೊಜ್ కమ్బొజ్ ਕਮ੍ਬੋਜ੍ কম্বওজ্) is frequently used as surname or last name by many Kambojs, currently living in India. Their Muslim counter-parts living in Pakistan mostly use Kamboh instead. The Kambojs/Kambohs are the modern reprentatives of ancient Kambojas, a well known Kshatriya clan of Indo-Iranian Aryans, stated to have had both Indian as well as Iranian affinities (Dr Keith , Dr Macdonnel, Vedic Index). The Kamboj or Kamboh living in upper India ( Greater Panjab) are identified as the modern representatives of the ancient Kambojas. They are found as Hindus, Sikhs, Muslims, Buddhists and the Jains. The Tajiks, Siyaposh tribe ( Kam/Kamoz, Katir/Kamtoz) of Nuristan, Yashkuns and the Yusufzais of Eastern Afghanistan and NWFP of Pakistan are said by various scholars to have descended from the ancient Kambojas. The Kamboj are also found in Punjab, Haryana, Delhi, Uttar Pradesh, Uttaranchal and Ganganagar in Rajasthan. A minuscule agrarian community called Kambhoj is living in Maharashtra which probably has descended from those Kambojas who had settled in South-West India around Christian era. The Kamboh are found in Punjab of Pakistan. Name derives from ancient Kamboja, an Indo -Iranian Aryan clan of Indo-European family, originally localized in Pamirs and Badakshan in Central Asia. Name of a community, of Indo-Iranian extractions living in north India and Pakistan. A member of this community. Relating to the Kamboj people. Deepak Kamboj started and conceptualized the powerful interactive platform - KambojSociety.com in September 2002, which today is the biggest and most popular online community portal for Kambojas in the world. He was inspired by the social and community work carried out by his father Shri Nanak Chand Kamboj. 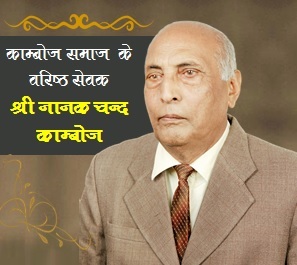 He has done research on the history, social aspects, political growth and economical situation of the Kamboj community. 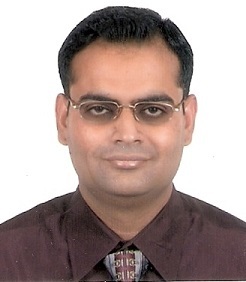 Deepak Kamboj is an author of various articles about the history of Kamboj community and people. 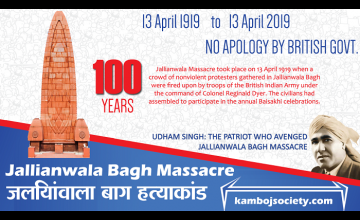 Copyright © 2002-2019 Kamboj Society. All Rights Reserved.